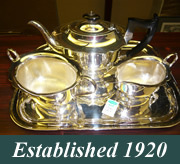 Smythes auctions Lancashire, Cleveleys - antiques, fine art, chattel and property auctioneers, valuers and estate agents in Lancashire, UK. Please enter your email address to be notified of future auctions and services. NOTE: The PDF Catalogue can be printed or saved by clicking on the appropriate icon in the pop up window.